The hot summer months can seem to drag on forever as parents look for things to keep the kids occupied. If you’re the type of family that craves outdoor adventure, and a chance to keep cool, then look no further. Lakeside marinas offer enough recreation to keep everyone outside and well-occupied even when temperatures are soaring. Towing and launching a private boat is a time-consuming process known for complications. As summer temperatures increase, so do the opportunities for families to make their way out of the house. 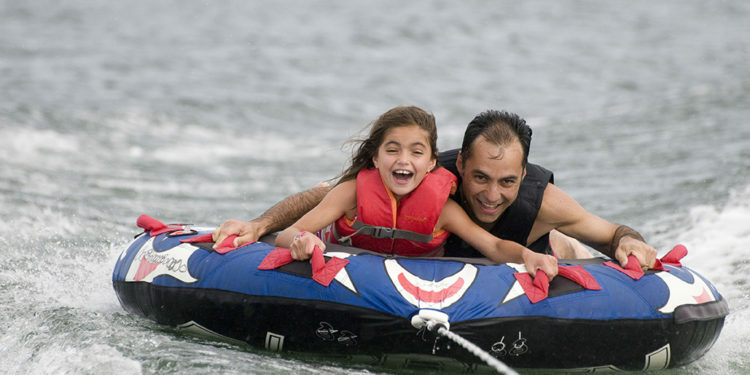 Lakeside marinas offer the chance for boat owners to save time and have more chances for quality family bonding. Simply choose the slip best-suited to your vessel, pay monthly, seasonally, or annually, and delight in the fact that your boat is ready and waiting anytime you’d like to head out for some cooling fun on the lake. On-board mechanical issues have the potential to derail the plans of boat owners and their families. This experience is especially harsh if a major breakdown occurs in the middle of the lake. Luckily, lakeside marinas employ the best in certified boat mechanics and their location could not be any more convenient. These repair service specialists are prepared to assist you with towing, diagnoses, and repairs, so you can quickly return to the recreation you were seeking when you arrived. Out of town visitors can also take advantage of the many convenient marina services even if they don’t own a boat of their own. With an abundant array of houseboats and smaller vessels to choose from, families have can enjoy a single day or several nights on the lake. 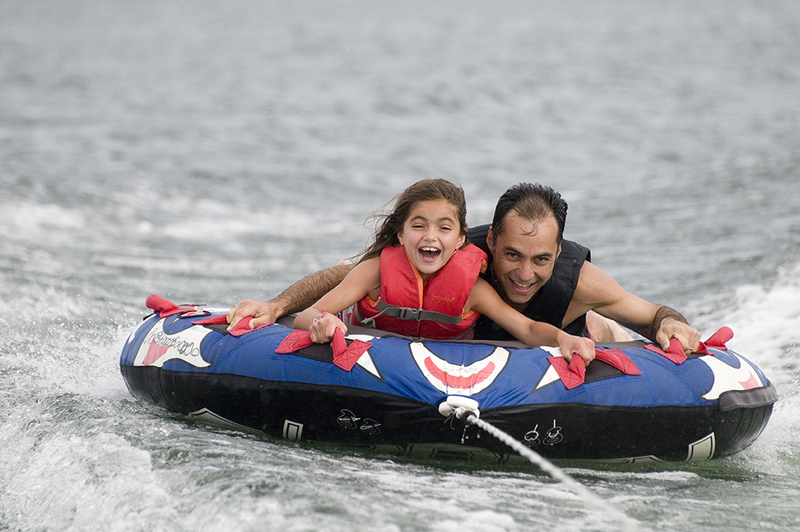 In addition to the amenities provided on their rental boats, families can supplement their experience with a wide variety of extras including towable inner tubes, boards, and skis. Lakeside marinas know that vacations are meant to be relaxing and they allow parents to do just that by offering on-site cafes with great food and beautiful views. Whether you are getting ready to head out for a day on the lake or simply stopping in for lunch, you will delight in the delectable dishes, refreshing drinks, and all-you-can-eat salad bar. These hearty meals can be enjoyed while you and your family sit back and take in the sights from either inside or out on the deck. Realizing that you have forgotten important supplies or wanted items can cause undue stress during a family vacation. Fortunately, marinas are known for having great little general stores and gift shops that are easily accessible. If a party needs extra ice or beer, snacks, fishing gear, or just fun souvenirs, a quick stop at one of these shops will allow your family to return to the more enjoyable aspects of your time on the lake. Don’t let the heat of summer keep your family from enjoying your summer vacation. Just make reservations for your preferred dates, plan accordingly, and arrive ready to take advantage of all the amenities and services available at the lakeside marina of your choosing. You will have a chance to relax while the kids have plenty of activities to stave off the boredom so common to summer breaks.